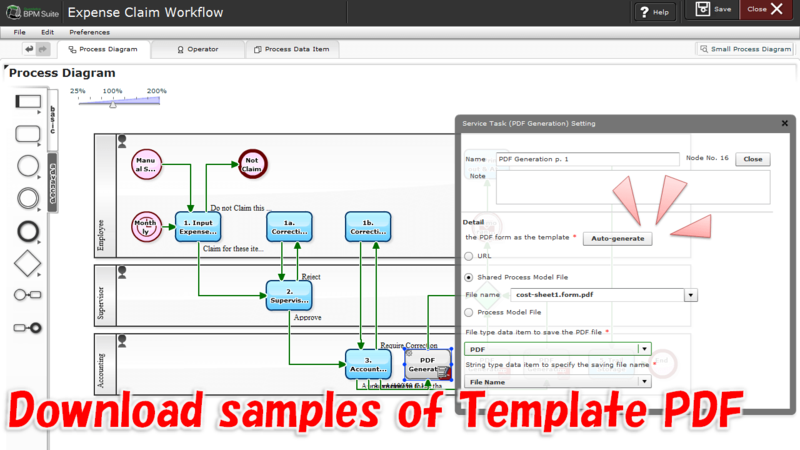 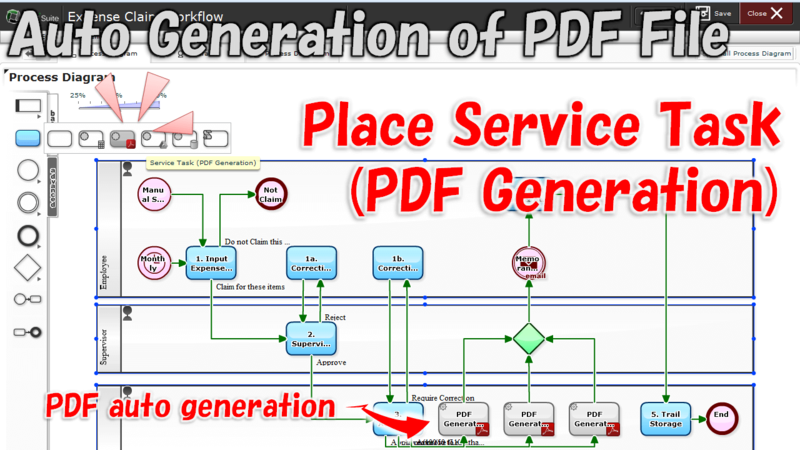 By placing "Service Task (PDF generation)", PDF auto-generating Step, in the middle of the Flow Diagram, and preparing a PDF to be a template, a PDF file will be automatically generated upon arriving of the instance. 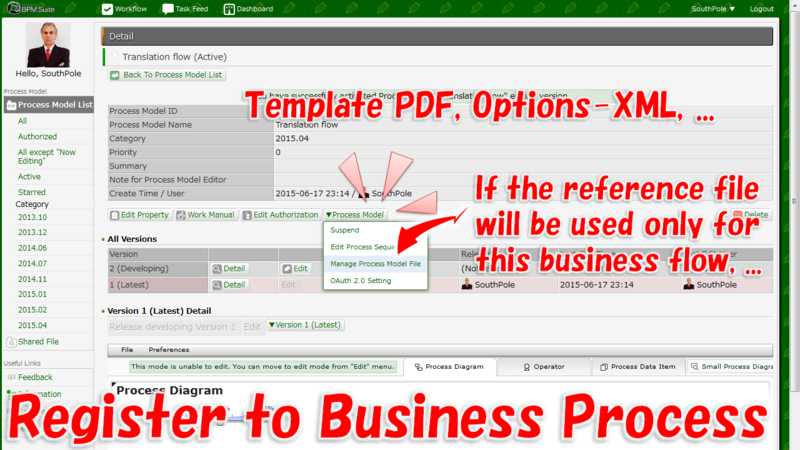 (Business data will be inserted in each Form field of the Template PDF.) 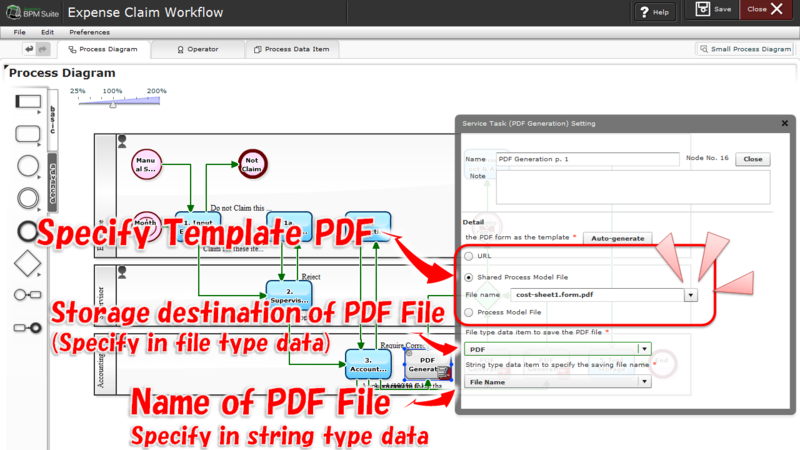 For example, you can automatically generate a PDF file following the confirmation on Expense-data by Supervisor or Accounting. 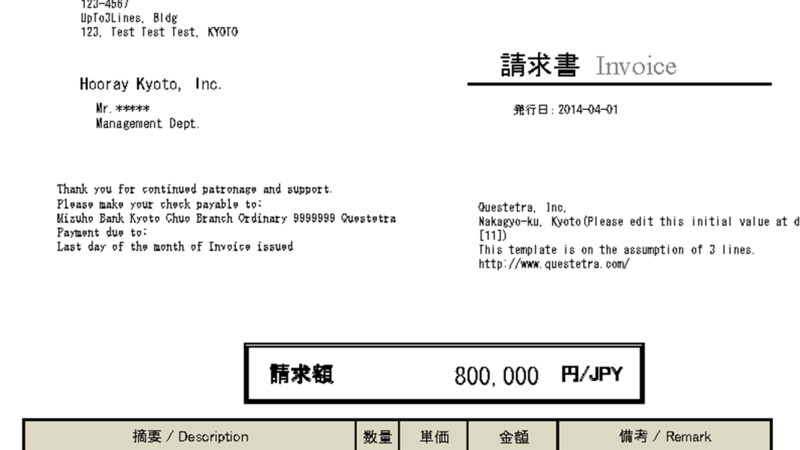 2014-03-31: Response to Brochure Request, Fully Automated?